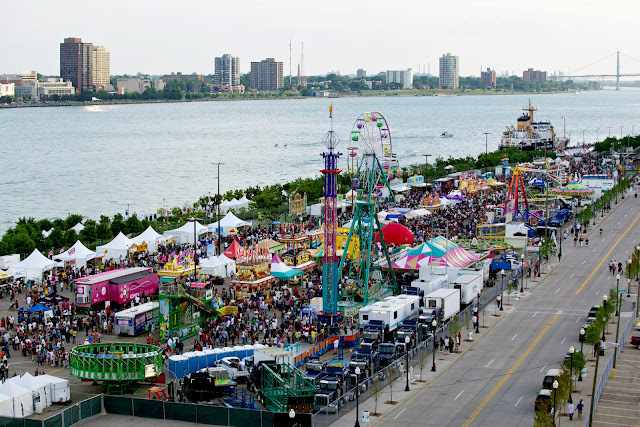 DETROIT (23 May 2018) - The Detroit RiverFront Conservancy is thrilled to continue its tradition of showcasing local music as a centerpiece of its annual summer festival, GM River Days presented by Soaring Eagle Casino and Resort. Nearly 50 local music favorites will perform during the 12th consecutive year of the three-day festival. Festival goers will also be treated to a gravity-defying aerial show performed by the Tuskegee Airmen National Historical Museum. Much of the musical excitement, which will include a host of new acts, will take place on the Michigan Lottery Stage and the Soaring Eagle Stage, where performances will range from rock, pop, indie and blues to alternative soul, party punk and of course, Motown. The Quicken Loans National Stage will feature an array of big music names, including classic R&B group Kool & the Gang along with tribute band Beatlemania Live! on Friday evening. Legendary funk sensation Morris Day and the Time will electrify the stage on Saturday, along with smooth R&B singer Donell Jones. The fun picks up again Sunday evening with the melodic sounds of multi-platinum soul singer Avant. Canadian R&B singer Tamia will also perform Sunday. While the festival’s $3 general admission ($5 after 3 p.m.) includes access to all performances, VIP premiere seats are now on sale for the major headlining performances featured on the Quicken Loans National Stage. The tickets are $35 and can only be purchased in advance of the festival. Purchases must be made online at RiverDays.com/Music while quantities last. GM River Days presented by Soaring Eagle Casino and Resort is supported by Bacardi, Detroit Marriott at the Renaissance Center, Eagle Security, Flagstar Bank, Imperial Beverage, Lagunitas, Made in Detroit, Meijer, MetroPCS, Michigan Lottery, Nathan’s, Pepsi, Quicken Loans, Shorts Brewing Company, Tito’s Vodka and Traverse City Whiskey.